Working alongside Birmingham City Council’s Constituency team, architects Acivico and conservation architects Rodney Melville and Partners, Birmingham Conservation Trust was commissioned to work on the long term plans and activities for a first stage Heritage Lottery Bid, due for submission in 2012. Birmingham Conservation Trust continues to have an involvement and in 2016 is a key member of the working group who are developing plans and submitting funding applications to find a long-term and sustainable use for the entire building. They are currently working on an Options Appraisal for the future of the building. · Upper storey balconettes in its three-sided spectator gallery. In October 2004 the entire building was temporarily closed for £1m emergency repair works. Pool 2 re-opened in October 2005, however Pool 1 remains closed. 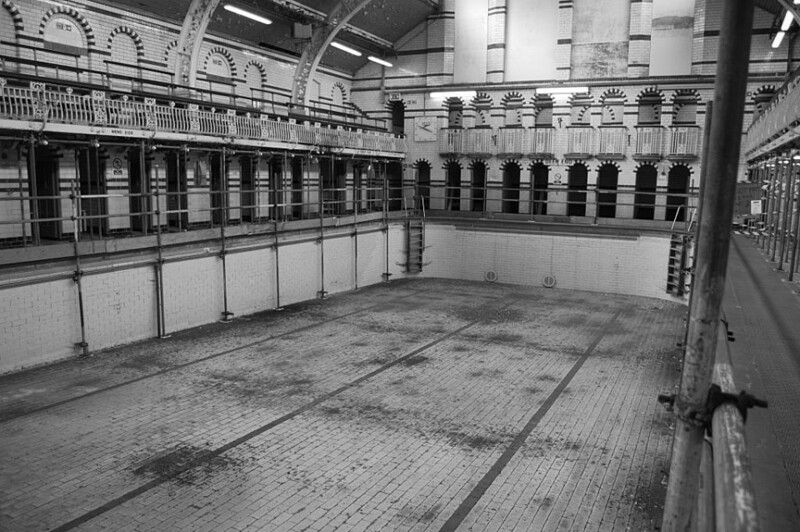 The baths were closed again for 15 months from December 2010 for more urgent repairs but Pool 2 is now open again for bathing. The building is currently on English Heritage’s ‘Buildings at Risk’ register. There is considerable public support to keep the baths open and operating. Friends of the Baths have been campaigning for a number of years and have had a successful Heritage Lottery Fund bid to capture the social history of the baths. 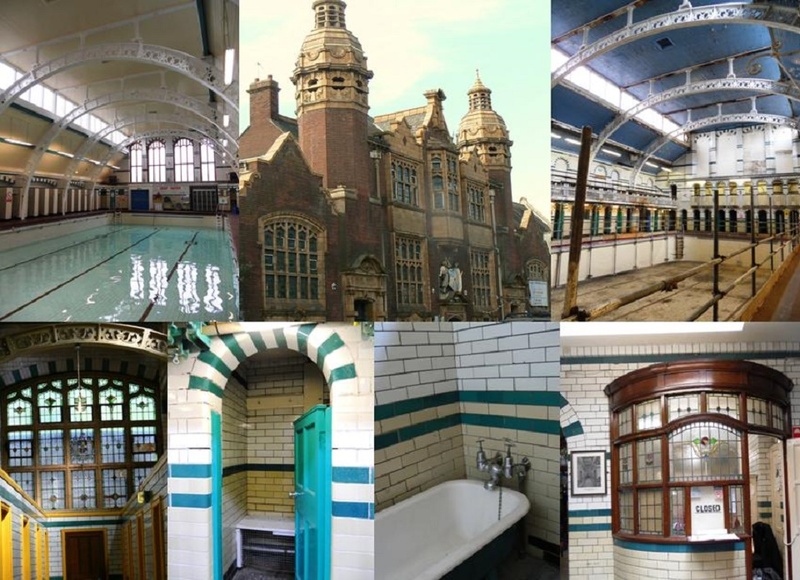 Birmingham City Council had set aside a few million to be used as match funding for a major £8m Heritage Lottery Fund bid to tackle the external repairs and improvements to Pool 2. The council, along with city stakeholders, including Birmingham Conservation Trust are working together to come up with a solution.